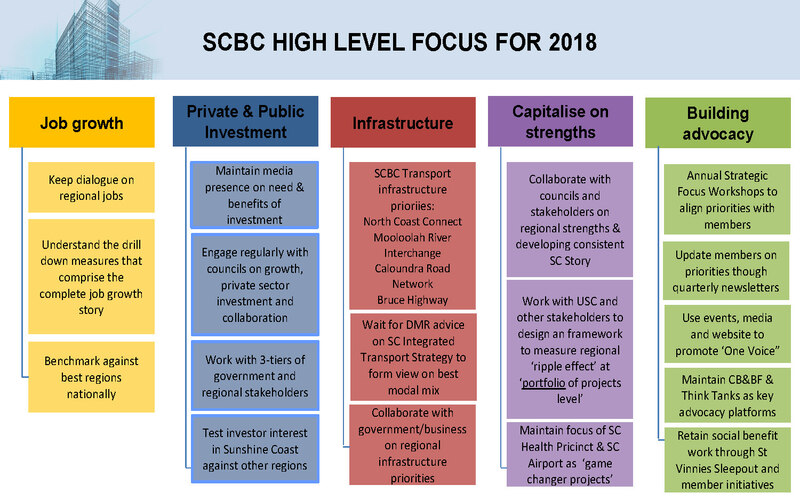 SCBC supports regional economic growth by working closely with its members and key stakeholders to determine an agreed position on key issues. We then craft a narrative around the issues to guide media comments and a plan to deliver a successful advocacy agenda. Growing and diversifying the economy to create jobs across all sectors and age groups, with a focus on youth and older Australians. Attracting private and public investment to the region to grow the economy directly and through PPPs. Collaborating around a clear regional strategy and infrastructure pipeline to ensure our region is positioned to perform in the top third of Australian regional centres by 2020. Promoting new horizon strategies and opportunities that focuses on more than individual projects. 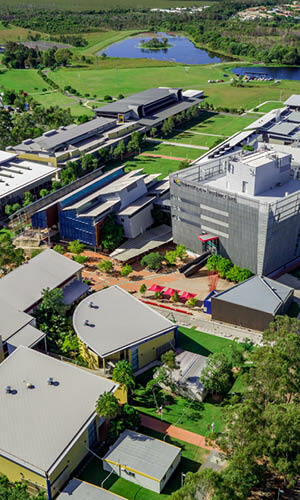 Encouraging members to stand together and through the Business Council ‘speak with one voice’ to champion the Sunshine Coast region’s national value, growth potential and needs and funding requirements. The SCBC updates the focus areas based on the outcomes of the Strategy Development Workshop held annually in the first quarter of each year. Members of SCBC board are available to go through the focus areas with any of our members. If you wish to take up that offer please contact us on info@scbusinesscouncil.com.au. We will keep members informed of our progress through updates in future newsletters and on our website www.scbusinesscouncil.com.au. The SCBC has contributed to Thought Leadership for the region since 2010, ensuring attention is draw to the key focus areas of investment, infrastructure and employment. This thought leadership combined with our Advocacy role has helped initiate, influence or expand discussions and ideas for industry, business members and the community. Read more about our current and past achievements. Click here to view the Priority Archive page.